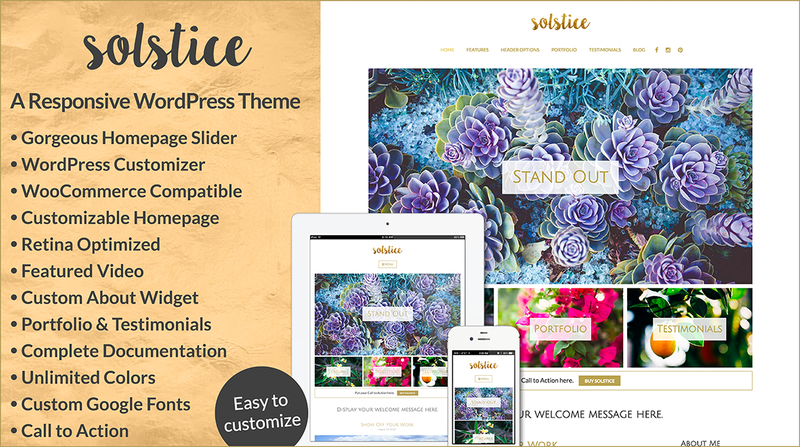 Solstice is a responsive WordPress theme. 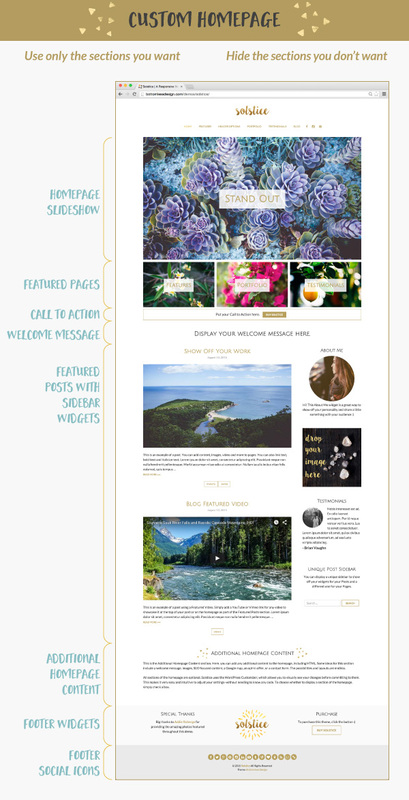 The clean, modern, and minimal design makes it perfect for any kind of blogging, creative, service-based, business, or nonprofit use. It’s fully responsive and has been optimized for tablet and mobile platforms. It also is retina optimized to look incredible on high definition displays. It comes with Featured Videos, a Testimonials page, a filtered Portfolio, a gorgeous homepage slider, and Post Formats. 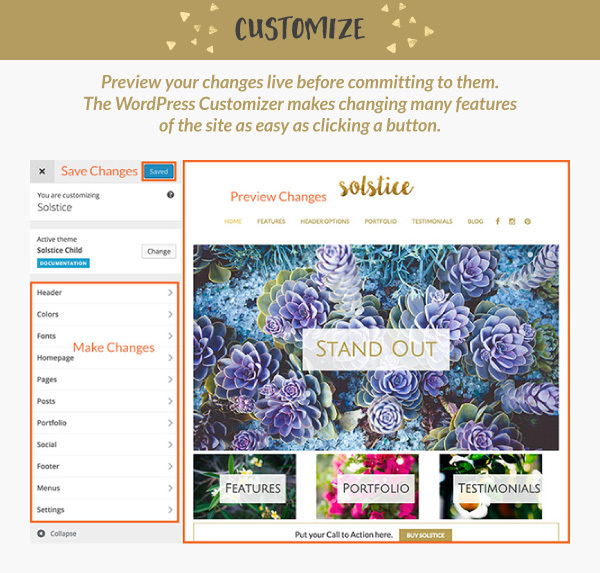 Featuring the WordPress Customizer, Solstice is amazingly easy to customize. 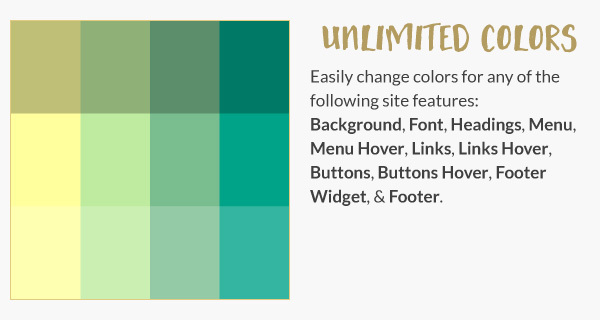 Change colors, use Google Fonts, add custom CSS, and more. The homepage is fully customizable, with the option to use or hide many features. 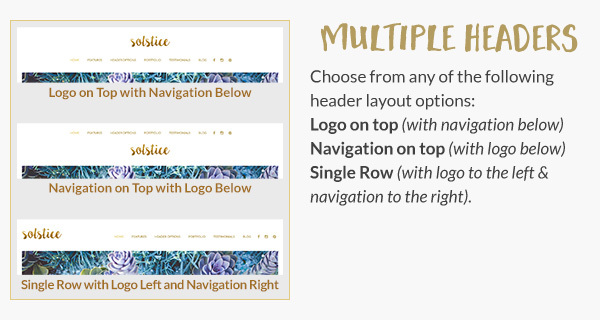 You can also choose from multiple header layout options--choose the one that works best for you! 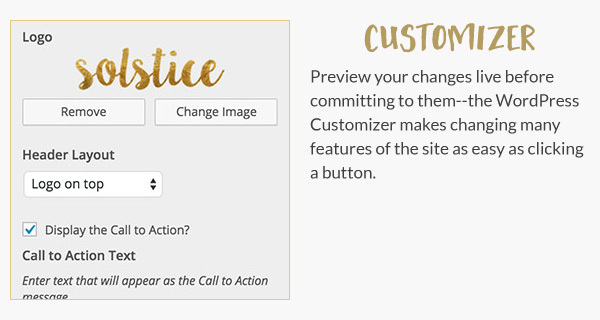 Additionally, Solstice has a Call to Action feature that makes it easy to direct customers to your event, product, or newsletter signup. 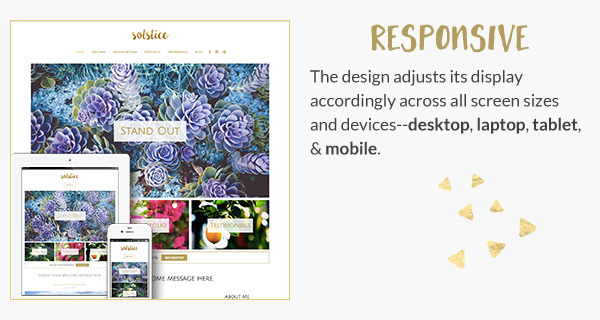 Make your next website project easy to realize and eye catching with the flexible and adaptive features of Solstice. 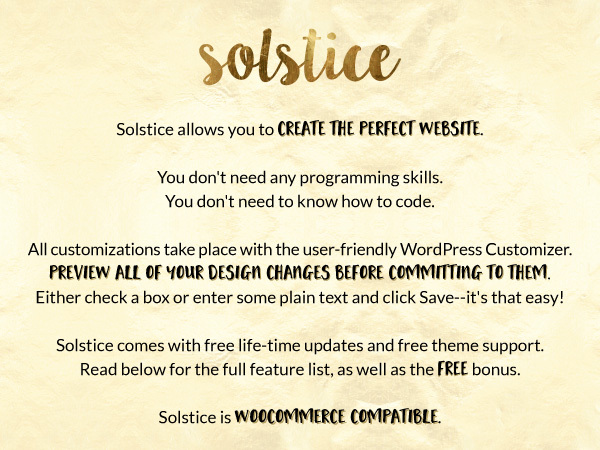 Solstice is 100% compatible with WordPress 4.9, 5.0, 5.1, & 5.2 and 100% compatible with Gutenberg. Clean Grid Layout – show off your projects and/or artwork in an attractive grid layout. Can be used for any number of scenarios, such as artists, projects, recipes, staff, services, etc. 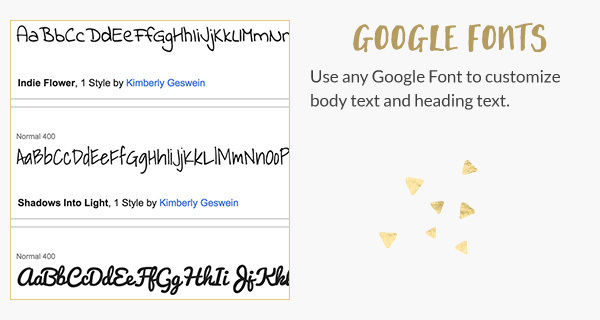 Simple to use shortcodes can be added to any page, post, portfolio project, or widget. 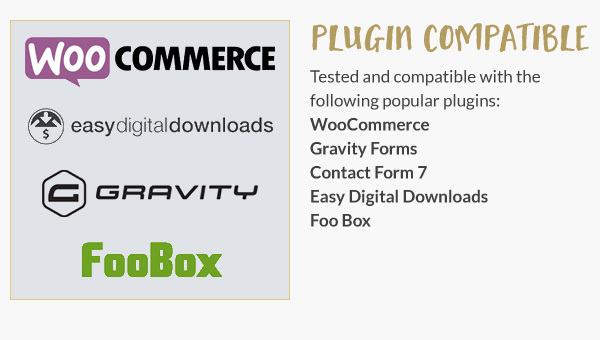 Custom widgets to be added to any sidebar or footer widget area.